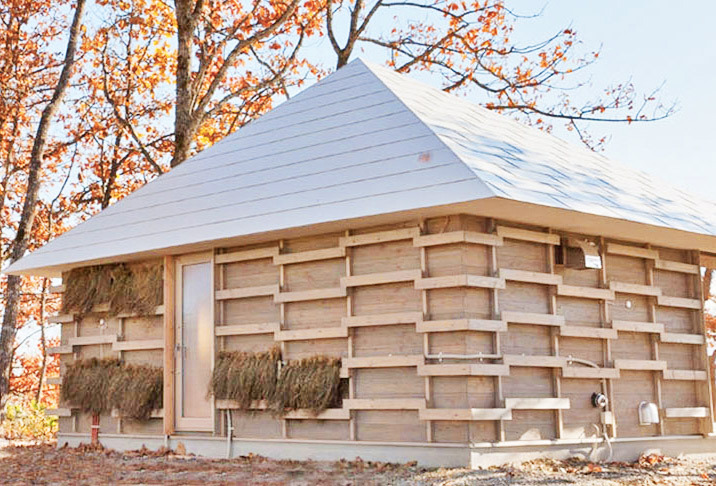 Japanese students at Waseda University have designed and built an innovative straw house that produces its own heat through agricultural fermentation. During the cold months, dried straw is composted in acrylic cases within the house using the low-odor Japanese “bokashi” method. The fermentation naturally heats up the house by generating 30° celsius heat for up to four weeks. 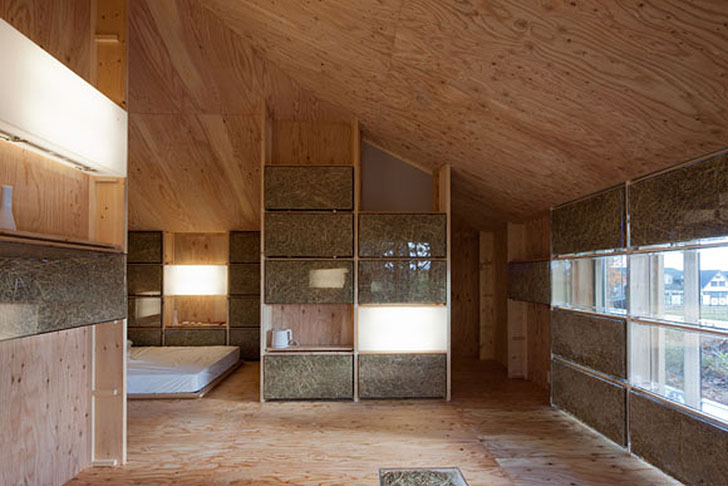 The project, called “A Recipe To Live,” stands in the coastal town of Taiki-cho in Hokkaido. It was designed by students Masaki Ogasawara, Keisuke Tsukada and Erika Mikami to follow the natural cycles of the dairy farm town, which features many straw pastures. 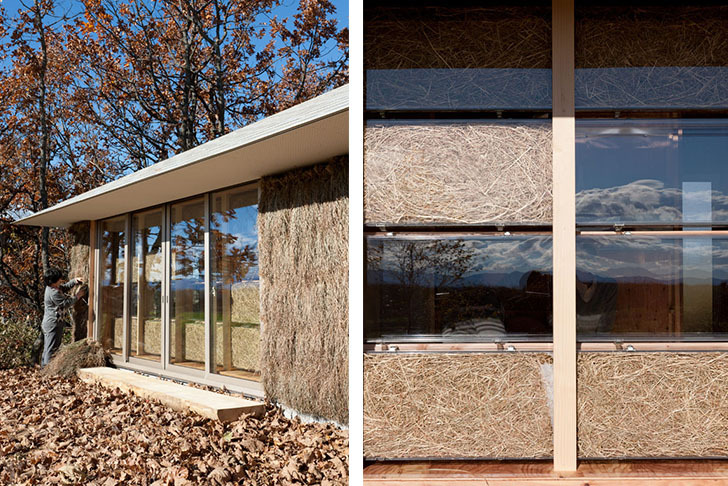 During the hot summer months, the natural shelter dries straw inside transparent window shelves. These shelves serve as “heat shield panels,” and they release cool moisture as the straw dries. In the winter months, the straw is composted indoors to produce a source of heat through microbial fermentation. 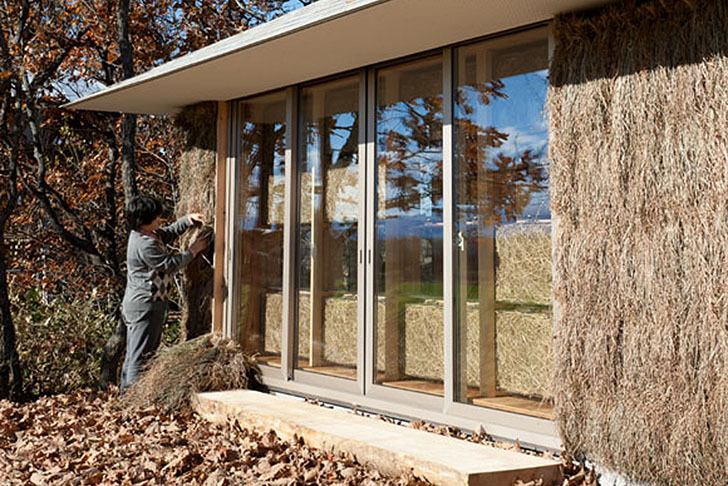 The house’s grass walls need to be changed a few times throughout the year, but they provide a natural system of heating and cooling that requires zero energy. “A Recipe To Live” was LIXIL* International University Architectural Competition’s 2011 winner. 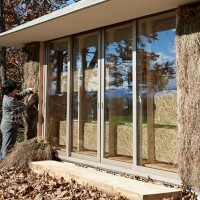 LIXIL Drying straw on transparent window shelves in summer months.